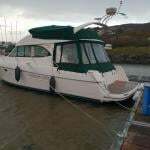 Afloat.ie reader Gerald Heffernan is seeking advice on buying a house boat to live on over the summer with the option of renting it out also. He asks 'Where is a good spot to park moor it and what sorry of costs are involved? I love Crookhaven,Valentina, Knightstown etc'. Other than on the inland waterways, houseboats are virtually unknown in Ireland, and in some cases there may actually be harbour and marina bye-laws banning them. 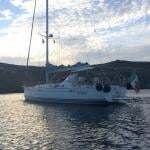 In most ports including those you mention, the rise and fall of tide has to be taken into consideration unless you can get a marina berth, and then you have to be prepared to go ashore to use the ablutions facilities. As to berthing costs, we suggest you contact the Harbour Master or Marina Manager at the port of your choice.